Cottage in Winchcombe, The Cotswolds, Gloucestershire, England - On A Quiet Lane, 2 Minutes Walk From Shops And Pubs. Beamed living room with rugs on slate floor and French doors to small courtyard. Beamed, well-equipped, modern fitted farmhouse-style kitchen/dining room with dishwasher, washing machine and tumble drier, on slate floor. Cloakroom with toilet. First floor: Double bedroom with 5ft "king size" bed and en-suite shower room with toilet. Twin bedroom with en-suite bathroom with over-bath shower and toilet. We just love hospitality! Our cottage is good quality, comfortable, and unpretentious, and Winchcombe is a delightful Cotswold town. Enjoy your stay! Misty View is on a quiet lane, 2 minutes walk from the centre if this charming and vibrant town, and 5 minutes from some of the best walking in England. The cottage has beamed ceilings, stone floors, lots of character, yet it is cosy and warm. A "home from home" is how many of our previous guest describe it. Everything we needed for a short, relaxing stay. Quiet location, (other than early morning church clock chimes!) yet within walking distance of shops, dining, etc in interesting little town. Sudeley Castle also within walking distance and many other Cotswold and Welsh border towns within an easy drive. Our stay was so relaxing. The house is full with everything you need.. including a wonderful little book called 'the little book of the Cotswolds.' It's on the bookcase in the living room. We cooked meals most nights in the well appointed kitchen and were given fresh herbs snipped daily by Liz from her garden at the pub down the street. Robert checked in with us and was available for anything we needed. The parking was super easy down the street. We'd go back anytime we are in England. Thank you Robert and Family! Delighted you enjoyed your stay, and thankyou for your review. 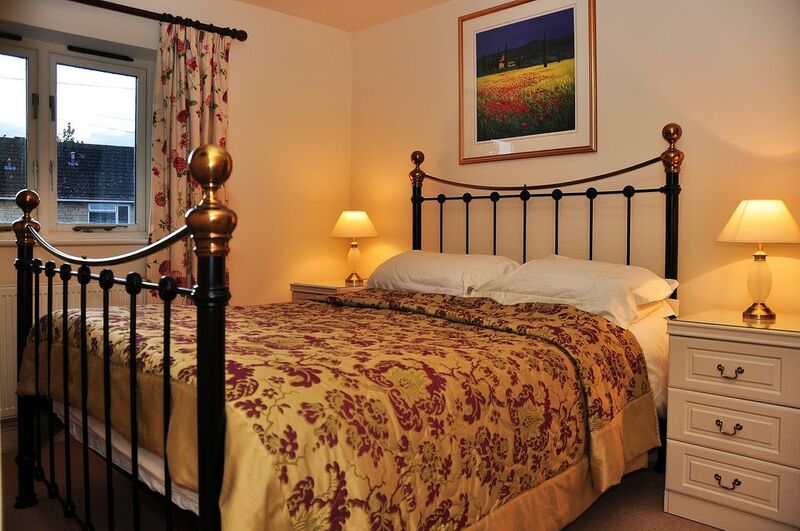 The cottage was ideal for us, having two bedrooms both en-suite. The cottage is comfortable and well equipped, and well located for the shops, restaurants and walking routes virtually from the door. We didn't use our cars during our stay. The lack of parking was not a problem as the car park is about 3 minutes walk and costs £1 per day. Apart from long country walks we visited Sudeley Castle and gardens, which is well worth the entrance fee, and travelled on the steam railway. We had glorious weather but there is plenty to do in the area if you're not so lucky. Thankyou for your review, and delighted you enjoyed your stay! Misty view was a very comfortable cottage to stay in and even though we could not park at the property the car park was very close by. It proved to be an ideal base for the many beautiful places we visited. Having an en-suite to each bedroom was a definite plus. Thankyou for your review, and very pleased you enjoyed your stay. A well equipped cottage in a nice village with 3 pubs serving very good food and drinks. We were unlucky with the weather but that didn't spoil our stay. Bob came round to make sure everything was OK which was nice and he recommended a couple of places for us to visit which we really enjoyed. The parking was good considering it is not actually at the property and I would come back to Misty Cottage if I was to visit the Cotswolds again as I thought it was a really good cottage in a really good location. Thank you for your review, and delighted you enjoyed your stay! Really impressed with the location and the condition of the let. Centrally located, adjacent to a very reasonable car park & fitted out really well it was a joy to stay here. The owner (Robert) was very accommodating as we happened to time our visit at the same time as the "Beast from the East"...& could not have done more for us. It is a lovely let in a beautiful town with numerous circular walks in stunning scenery - get booking!! Thank you Steve, and so pleased you enjoyed your stay! Michelin Star Restaurant, 5 Medieval pubs, shops, Bank all within 5 minutes walk. Booking Notes: Please contact owner Changeover Day: Arrival time 3pm, Departure time 10am. Flexible Changeover days.